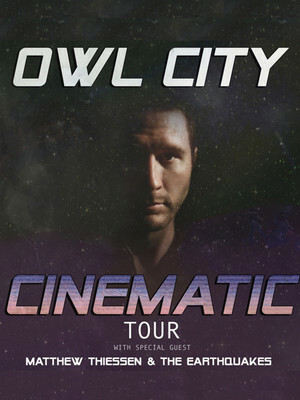 Following his huge hit "Fireflies", Owl City is now on tour. Owl City is a project of Adam Young. Formed early 2007 in Owatonna, Minnesota, United States. Owl City has reached the "Top Unsigned Artist" position on Myspace, having over 10 million total plays. His best known track is 2009's "Fireflies" from the album "Ocean Eyes", which in October 2009 hit #1 on the Billboard Hot 100 and #1 in the UK Top 40 on January 24th 2010. This year sees him hitting the road in support of his upcoming sixth full-length album, Cinematic, which is slated for released June 1. The 24 date trek across North America kicks off in Milwaukee, and sees Owl City bring news music to fans across the country. Supporting Owl City on all dates is fellow collaborator and friend Thiessen & The Earthquakes. Seen Owl City? Loved it? Hated it? Sound good to you? 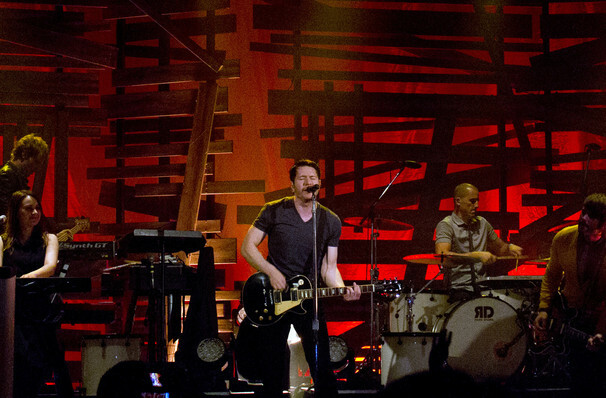 Share this page on social media and let your friends know about Owl City at First Avenue. Please note: The term First Avenue and/or Owl City as well as all associated graphics, logos, and/or other trademarks, tradenames or copyrights are the property of the First Avenue and/or Owl City and are used herein for factual descriptive purposes only. We are in no way associated with or authorized by the First Avenue and/or Owl City and neither that entity nor any of its affiliates have licensed or endorsed us to sell tickets, goods and or services in conjunction with their events.